New architecture – Profile management has been re-architected. A new mechanism for tracking file and folder changes replaces the Windows change journal. This simplifies the software’s internal operation. As a result of this simplification, the Directory of the MFT cache file policy is also removed. Automatic configuration – Profile management now examines any XenDesktop environment, for example for the presence of personal vDisks, and sets defaults accordingly. Only policies in the Not Configured state are adjusted, so any customizations you have made are preserved. This feature speeds up deployment and simplifies optimization. No configuration of the feature is necessary, but you can disable automatic configuration when upgrading (to retain settings from earlier versions) or when troubleshooting. Automatic configuration does not work in XenApp or other environments. Integration with XenDesktop – Profile management is still available as a separate download but you can now also install it from the XenDesktop 7 media. Profile management is installed silently by default. Citrix Studio administrators can now configure Profile management settings using XenDesktop policies, and Desktop Director administrators can now access diagnostic information for and troubleshoot user profiles. Improved troubleshooting – To assist troubleshooting, Profile management now processes local client administrators on desktop operating systems but ignores administrators on server operating systems. This is the default behavior so no configuration of this feature is necessary, but you can change the default using theProcess logons of local administrators policy, if required. Also, instead of providing users with a temporary profile if a problem is encountered (for example, the user store is unavailable), a new policy lets you display an error message and automatically logs off users in this situation. Excluded groups – This new policy identifies profiles of Active Directory Group members, and excludes the profiles from processing by Profile management. This can be helpful in large deployments. The exclusion takes precedence over any inclusion by the Process logons of local administrators policy. Support for Microsoft Application Virtualization (App-V) – Compared with traditional Microsoft roaming profiles, user settings are stored differently for virtual applications created with App-V. Profile management works with App-V user settings without any need for configuration. The support does not include compatibility with App-V delivery mechanisms provided by some service providers. Extended synchronization – The personal vDisk feature of XenDesktop, which stores data outside the user profile, replaces extended synchronization. This Profile management feature, which also stored non-profile data by combining inclusion and exclusion lists, is no longer needed and is removed from this version. Use personal vDisk instead. 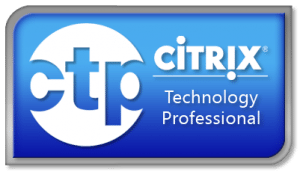 Download Citrix Profile Management 5.0 here (Require MyCitrix ID) under VDI-in-a-box 5.3 or XenDesktop 7. This release works with all versions of XA, XD, VIAB. At Citrix Synergy 2013, Anaheim, CA, May. 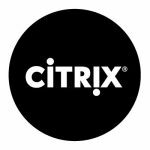 Citrix announced the availability of Citrix XenDesktop 7, the software is now available for download. I have been waiting for this release to be available. Now XenApp in XenDesktop have all the cool new features such as deep compression codec “HDX 3D Pro” and higher frame rates, so your virtualized 2D/3D applications can run over strict bandwidth with high latency, before this was possible with XenDesktop HDX 3D Pro now XenApp can deliver the same, and the cool thing is XenApp is included in the delivery mechanism of XenDesktop 7. Merchandising and Provisioning Services are still alive and strong and released in a new software version. AppDNA is now included in the XenDesktop Platinum edition with a limited edition Hosted App P2V Analysis. If you already have experience with a XenDesktop or XenApp environment, it will be helpful to you to identify the components introduced in this release and learn how they work and communicate with each other. Under the new architecture, XenDesktop and XenApp are unified, including management and delivery components, to give administrators a unified management experience. This figure shows the key components in a typical deployment. Director — Director is a web-based tool that enables IT support and help desk teams to monitor an environment, troubleshoot issues before they become system-critical, and perform support tasks for end users. You can also view and interact with a user’s sessions using Microsoft Remote Assistance. Receiver — Installed on user devices, Citrix Receiver provides users with quick, secure, self-service access to documents, applications, and desktops from any of the user’s devices including smartphones, tablets, and PCs. Receiver provides on-demand access to Windows, Web, and Software as a Service (SaaS) applications. StoreFront — StoreFront authenticates users to sites hosting resources and manages stores of desktops and applications that users access. Studio — Studio is the management console that enables you to configure and manage your deployment, eliminating the need for separate management consoles for managing delivery of applications and desktops. Studio provides various wizards to guide you through the process of setting up your environment, creating your workloads to host applications and desktops, and assigning applications and desktops to users. 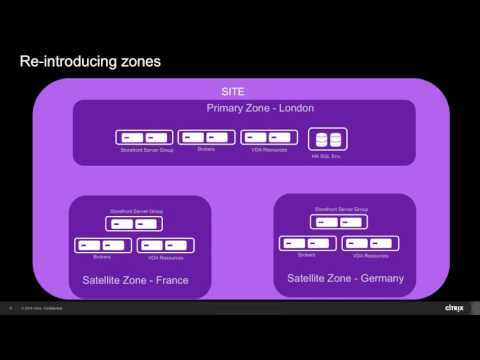 Delivery Controller — Installed on servers in the data center, the Delivery Controller consists of services that communicate with the hypervisor to distribute applications and desktops, authenticate and manage user access, and broker connections between users and their virtual desktops and applications. The Controller manages the state of the desktops, starting and stopping them based on demand and administrative configuration. In some editions, the Controller allows you to install Profile management to manage user personalization settings in virtualized or physical Windows environments. Each site has one or more Delivery Controllers. XenServer — XenServer is an enterprise-class virtual machine infrastructure solution that creates the foundation for delivering virtual desktops and offers advanced management features. 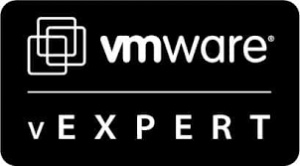 Multiple VMs can run on XenServer, which takes advantage of the advanced virtualization features of the latest virtualization-enabled processors from Intel and AMD. For more information about XenServer, see the XenServer documentation in eDocs. Virtual Delivery Agent (VDA) — Installed on server or workstation operating systems, the VDA enables connections for desktops and apps. For Remote PC Access, install the VDA on the office PC. Machine Creation Services (MCS) — A collection of services that work together to create virtual servers and desktops from a master image on demand, optimizing storage utilization and providing a pristine virtual machine to users every time they log on. Machine Creation Services is fully integrated and administrated in Citrix Studio. Windows Server OS machines — VMs or physical machines based on Windows Server operating system used for delivering applications or hosted shared desktops to users. Desktop OS machines — VMs or physical machines based on Windows Desktop operating system used for delivering personalized desktops to users, or applications from desktop operating systems. Remote PC Access — User devices that are included on a whitelist, enabling users to access resources on their office PCs remotely, from any device running Citrix Receiver. Secure delivery — When users connect from outside the corporate firewall, this release can use Citrix NetScaler Gateway (formerly Access Gateway) technology to secure these connections with SSL. NetScaler Gateway or NetScaler VPX virtual appliance is an SSL VPN appliance that is deployed in the demilitarized zone (DMZ) to provide a single secure point of access through the corporate firewall. WAN optimization — In deployments where virtual desktops are delivered to users at remote locations such as branch offices, Citrix CloudBridge (formerly Citrix Branch Repeater or WANScaler) technology can be employed to optimize performance. Repeaters accelerate performance across wide-area networks, so with Repeaters in the network, users in the branch office experience LAN-like performance over the WAN. CloudBridge can prioritize different parts of the user experience so that, for example, the user experience does not degrade in the branch location when a large file or print job is sent over the network. HDX WAN Optimization with CloudBridge provides tokenized compression and data deduplication, dramatically reducing bandwidth requirements and improving performance. For more information, see the Citrix CloudBridge documentation. The version comes in Evaluation, VDI edition, App Edition, Enterprise Edition and Platinum Edition. In this topic i will cover which software editions you can download, and which software components are included you can use for each XenDesktop edition. 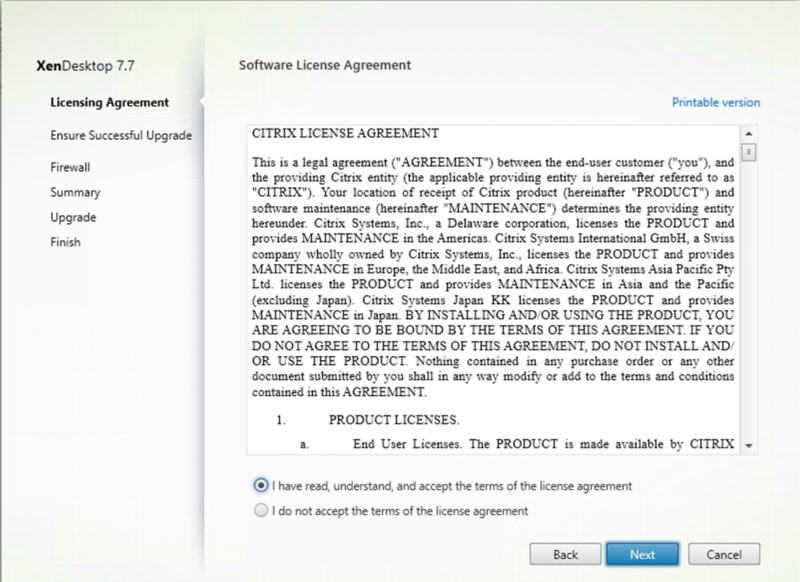 Citrix XenDesktop evaluation edition have 99 licenses included and works for 90 days. Desktops — Deliver managed desktops to multiple, simultaneously connected remote users. Server OS machine and Desktop OS machine desktops provide features such as SmoothRoaming, session reliability, license consumption, Receiver and Delivery Services authentication, and Desktop Viewer. This release introduces Windows Server OS machine catalogs and desktops as a cost-effective virtualization delivery solution because they provide a significant number of remote users per server and storage resource. This release also provides Remote PC desktops that let users access resources on their office PCs remotely, from any device running Citrix Receiver. Applications — Integrate XenApp publishing capabilities within a deployment. Use this feature to deliver shared hosted applications to multiple, simultaneously-connected remote users. Windows Server 2012 and Windows 8 support — Deliver a high-definition user experience on Windows 8 virtual desktops and physical machines. HDX 3D Pro has also been upgraded to support Windows 8. Desktop Composition Redirection — Extend the Aero Redirection feature introduced in XenDesktop 5.5 to provide users with a more fluid Windows 7 Aero or Windows 8 desktop experience by leveraging the graphics processing unit (GPU) or integrated graphics processor (IGP) on supported Windows user devices for local DirectX graphics rendering. This feature delivers rich multimedia applications to user devices, while maintaining high scalability on the server. Windows Media client-side content fetching — Enable a user device to stream multimedia files directly from the source provider on the Internet or Intranet to improve network utilization and server scalability. Multicast support — Reduce bandwidth consumption when streaming live video to branch offices. Multicast support enables a single Windows Media source transmission to support multiple users. Real-time multimedia transcoding — Enable audio and video streaming to mobile devices, improving the way that Windows Media content is delivered. Host-based transcoding provides a seamless user experience, even in extreme network conditions. To improve server scalability, if the Virtual Delivery Agent (VDA) has a supported graphics processing unit (GPU) for hardware acceleration, transcoding is done in the GPU. User Datagram Protocol (UDP) audio for Server OS machines — Extend support for audio delivery over UDP/RTP to Server OS machines. This feature delivers superior audio quality for real-time applications like video conferencing and streaming media, even in environments when there is packet loss or congestion. Webcam video compression — Reduce bandwidth consumption to improve performance when using supported video conferencing applications. HDX 3D Pro — Deliver applications with graphics processing units (GPUs) for hardware acceleration to the desktop. This includes 3D professional graphics applications based on OpenGL and DirectX. Server-rendered Rich Graphics and Video — Deliver rich graphics (including Windows 8 or Windows Aero) to virtual desktop users on any client, platform, and bandwidth condition by rendering the content on the server. When users have the latest Citrix Receiver, they will also notice improved performance for server-rendered video. Improved Flash Redirection — Determine when to redirect Adobe Flash content to the user device for local rendering based on the user’s network type and environment. Flash Redirection helps reduce server and network load, resulting in greater scalability while ensuring a high-definition user experience. New installer — Use a single, streamlined installer to guide you through installing the core components (Delivery Controller, Studio, Director, StoreFront, and License Server) and VDAs. Profile management — By default, Citrix Profile management 5.0 is installed silently on master images when you install the Virtual Delivery Agent, but you do not have to use Profile management as a profile solution. Configuration Logging — Capture Site configuration changes and administrative activities to a Configuration Logging Database. You can view the log in Studio using a variety of filters and generate HTML and CSV reports. A new help desk view offers an improved troubleshooting experience for help desk administrators, allowing user, machine, and application issues to be resolved quickly. Full administrators have access to other views, including a newly designed Dashboard to provide a graphical summary of your deployment in a central location, and a Trends page to provide improved, in-depth, graphical monitoring and troubleshooting of the entire deployment with various time ranges. EdgeSight performance management provides the historical retention and trend reporting. With historical retention of data versus the real-time assessment, administrators are able to create Trend reports, including capacity and health trending. EdgeSight network analysis leverages HDX Insight to provide an application and desktop contextual view of the network. With this feature, Director provides advanced analytics of ICA traffic in their XenDesktop deployment. Delegated Administration — Group objects into administrative scopes. This feature provides an enterprise-class administration model with role-based access control, custom roles with configurable permissions, and fine-grained, object-based control. StoreFront replaces Web Interface — Create centralized enterprise stores to deliver desktops, applications, and other resources to users on any device. This feature provides authentication and resource delivery services for Citrix Receiver. Delivery Controller auto-update — Automatically notify Virtual Delivery Agents (VDAs) when Controllers are added to and removed from the Site. This feature helps prevent VDA rejection of sessions that are launched by unknown Controllers, and VDA startup delays or errors caused by invalid Controller information. For information about how to preserve the CNAME functionality, see CTX137960. Client Folder Redirection — Change the way client-side files are accessible on the host-side session. When you enable only client drive mapping on the server, client-side full volumes are automatically mapped to host drive letters. When you enable client folder redirection on the server and then the user configures it on the user device, only the portion of the local volume that is specified by the user is redirected. Improved Virtual Desktop Access Control Settings – Control user access to both Server OS Machines and Desktop OS Machines in a simple and unified way with a new, streamlined group of security settings. Improved and integrated error reporting — Studio error reporting links directly to the Citrix Support website. When users encounter an error situation, choosing the Get Advice option submits information about the error to the Citrix website. The information is analyzed and the user is redirected to a Website containing remedial advice. Desktop Appliance sites — Access Desktop Appliance sites through a website on the StoreFront store. The site is created automatically when a store is created. If, for example, the store has a path of path/Citrix/Store, the Desktop Appliance site path ispath/Citrix/StoreDesktopAppliance. Users can restart their virtual machine-hosted desktops on Desktop Appliance sites. Database as a service — Write user subscription data for each store to the local disk on the StoreFront server by using the new subscription store service. The data is then propagated across the server group. IPv6 support — Connect to clients and core components on IPv4, IPv6, or dual-stack (IPv4/IPv6) environments. Personal vDisk — Personalize your virtual desktops. In addition, a dedicated storage disk is created, before logon, so that users can store their data on the desktop, including any applications they install. Machine Creation Services (MCS) support for Microsoft Key Management System (KMS) activation — Each virtual machine (VM) created with MCS provides a unique activation for the Windows operating system and Office 2010, which enables the KMS system to record each VM as a separate machine. Support for group policies configured in Citrix Mobility Pack — These policies for Citrix Receiver for mobile devices include Start menu redirection and removing common programs from the Start menu. For details, see Configure policies for mobility features. Multi-touch support — Touch functionality is supported on multi-touch computers, including Microsoft Windows 7 and Windows 8 workstations and Windows Server 2012 for VDAs. Remote PC Access — Automated administration of Remote PC Access is fully integrated into the core functionality of the XenDesktop Delivery Controller and Studio. One Remote PC machine catalog and one Remote PC Delivery Group are created automatically when you set up a Remote PC deployment; you can add more machine catalogs or Delivery Groups later using Studio. This process replaces the XML configuration file and PowerShell scripts used by Remote PC Access in XenDesktop 5.6 FP1. The current release also adds the ability to remotely access office PCs running Windows 8. Support for Fast User Switching using RDP connections — This Microsoft Windows feature makes it possible for multiple users to share a desktop without closing programs or logging off existing users. Administrators can take advantage of this feature to troubleshoot problems and install updates, without interrupting tasks or programs in use by the logged on user, by initiating an RDP connection to the VDA. Compatibility with AhnLab keyboard encryption used in Korea — This release is compatible with keyboard encryption that is installed on Virtual Desktop Infrastructure (VDI) hosts. 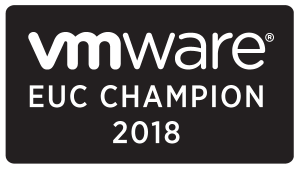 VMware vSphere. No support is provided for vSphere vCenter Linked Mode operation. System Center Virtual Machine Manager 2012 and System Center Virtual Machine Manager 2012 SP1, plus any version of Hyper-V that can register with those System Center Virtual Machine Manager versions.